Hear all of these samples and more! Listen to audio of acoustic guitar tracks recorded with the Edwards LE-10 Stereo Microphone Preamp and see why our mic preamp is so special! Check out the free downloads we have available! Here, you will find frequency response graphs, spec sheets, and hi-res audio files. 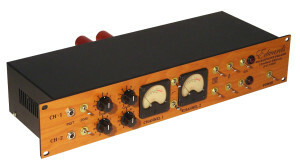 LE-10 Mono Microphone Preamp » Buy Direct! He has done what many say is not feasible and cannot be done! The Paul Edwards Pre-Amp is a world class pre-amp. It will give you the ability to not worry in terms of tone and clarity. It’s a very TRUE pre-amp. One of the best I’ve ever worked with, especially in terms of its price. I used a very, very cheap mic and it made it sound like a good $4-5k mic. For anyone who knows mics, to have a pre-amp that will do that kind of job is pretty fascinating.